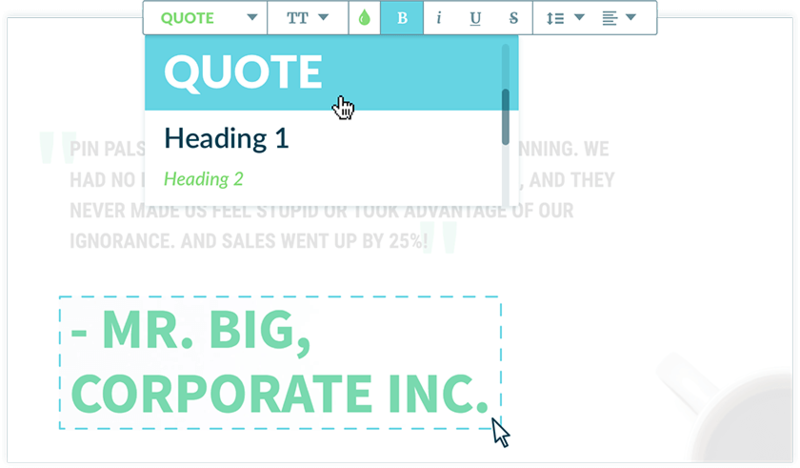 With Proposify, you get complete control of typography. Bring your words to life by choosing from the more than 800 fonts in the Google Font library. 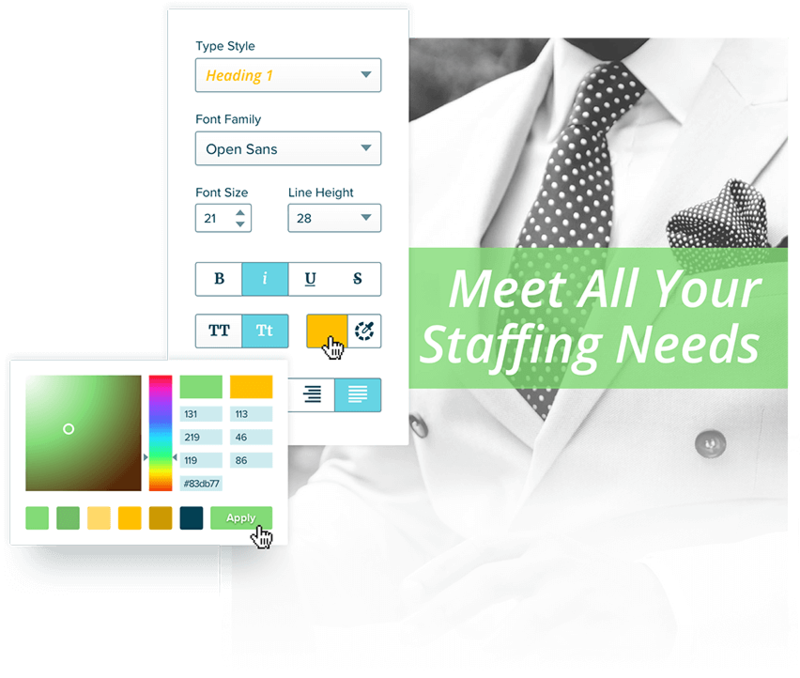 Our friendly editor lets you customize stylesheets, and change colours, size, alignment, line-height, margins, and more. Inject some personality into your proposal and show off your work by easily adding your own images, infographics, shapes, and video, or choose among thousands of free stock images from our integration with Unsplash. 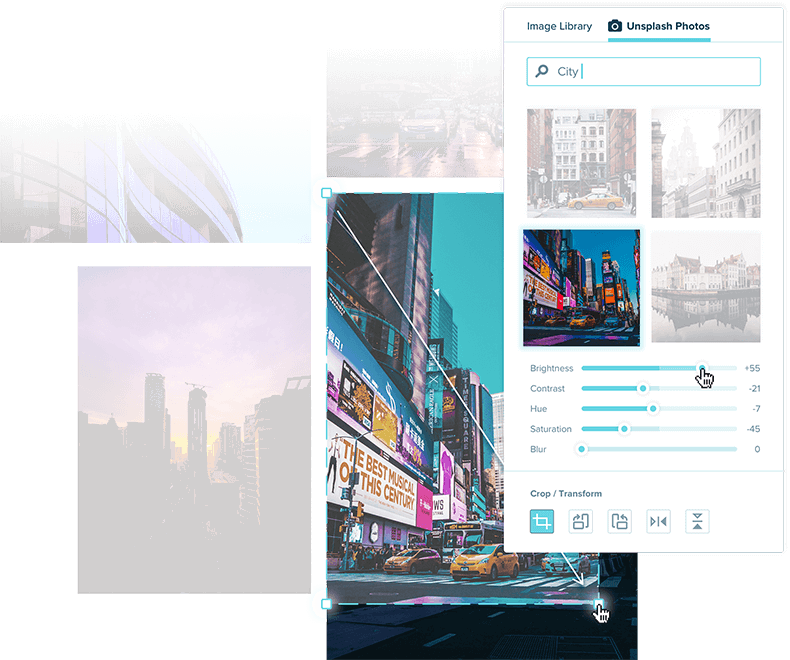 Our image editor lets you crop, flip, and rotate your pics, and apply filters for brightness, contrast, hue, saturation, and blur. Plus you can choose from nine preset filters to make your photos look extra snazzy. 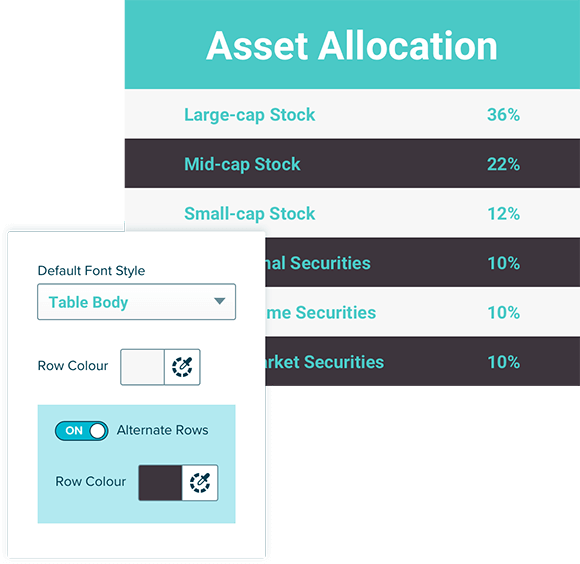 Present pricing and content in organized tables that aren’t only easy to read, but easy to create. Style the header and footer rows, create alternating row patterns, and change the size. 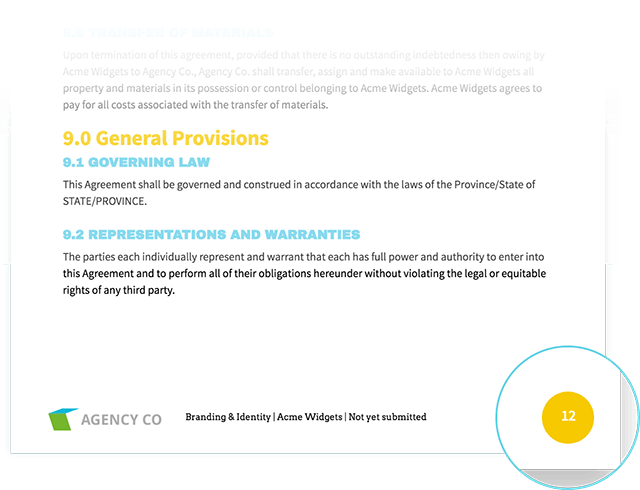 Customize your proposals faster by creating common elements that repeat in the header or footer of every page, like page numbers, company details, and style. Streamline your proposal styles by making universal changes to elements like headings. You have the control to say “Make all H3 green”. Want to change them all to red? Just hit ‘edit H3’ to red and the entire document updates.